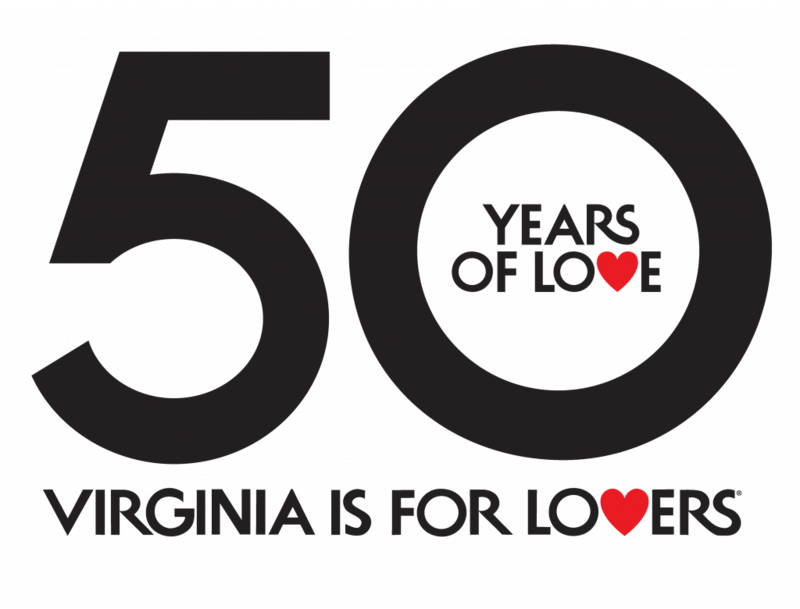 Virginia’s culinary scene just keeps getting better, with new restaurants opening almost every single week. While you may have a local favorite spot for a night out, it doesn’t hurt to switch things up every once in a while with some fresh flavors. Head to one of these eateries that opened their doors in 2017 and get a taste of Virginia’s constantly evolving (and improving) foodie scene. Opened June 22, 2017 under celebrity Chef Santosh Tiptur, The Conche is a chocolate lover’s dream, incorporating the sweet treat into every aspect of the restaurant, bar, boutique, and even a 300-square foot chocolate lab located in the center of the dining room. Start with a cocoa-infused specialty cocktail and continue your meal with a sweet or savory entrée. And, of course, save room for dessert; you’ll be hard-pressed to find anything as indulgent and impressive as the Conche Entremet, a sour cream dark chocolate cake topped with Maracaibo chocolate cream, bourbon vanilla bean ice cream, warm chocolate fritters, and various chocolate toppings. Capped off with a chocolate dome, your server will reveal the luxurious dessert underneath by pouring hot chocolate syrup over the top. Is your mouth watering yet? If you can’t get enough of the restaurant’s delectable chocolate during your meal, sign up for one of their interactive chocolate-making classes, suitable for both kids and adults. 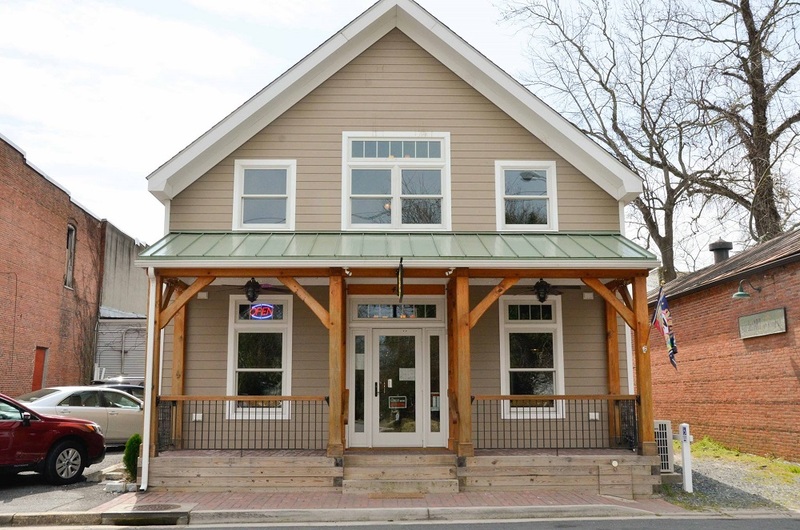 Designed to reflect the history of Chatham, Virginia, Chatham Public House repurposed windows and wooden boards from old homes in the area for their décor, with each window pane painted with the name of an old Chatham Main Street business and the year it was established. A mural on the wall portrays a stylized family crest of William Pitt, the Earl of Chatham. Photos adorning the walls show Chatham in the early 20th century, adding even more history to the décor. But the restaurant is also about getting to know the Chatham of today; a 15-foot long community table (which happens to be made from pieces of an old Chatham tobacco factory) invites you to dine next to Chatham residents. By the end of your meal, you’ll feel like you’re eating with old friends. 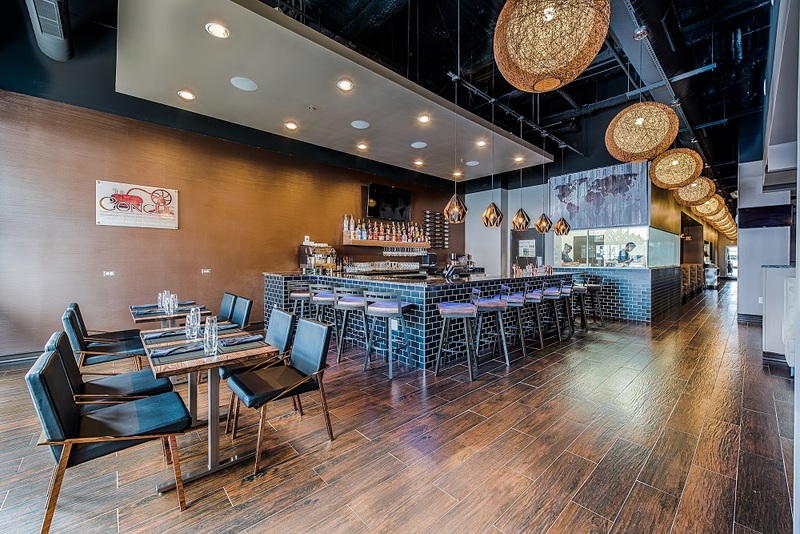 From the owners of Sabai Restaurant located at Broad Street and Boulevard in Richmond comes YaYa’s Cookbook, a Thai-style restaurant that opened in Richmond’s Short Pump area in June 2017. But the restaurant is no strip mall eatery; walking through the doors at YaYa’s, you immediately feel as if you have been transported to an exotic restaurant in Thailand. Bright graffiti-style paintings cover the wall, and planters built along the windows that separate the dining space from the outdoor patio add greenery elements (albeit artificial) to the décor. 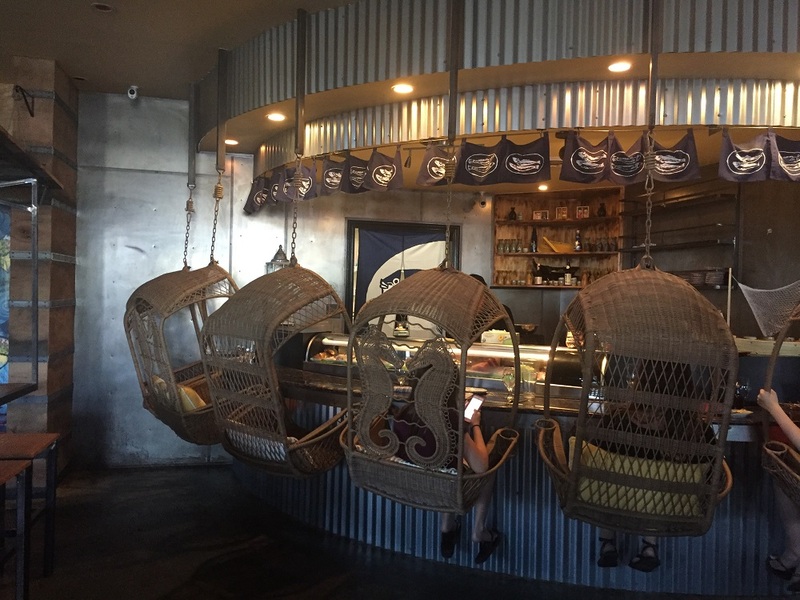 Hanging woven basket chairs line the sushi bar area, providing a more informal seating alternative for guests. In addition to deliciously fresh sushi, a wide array of creative Thai dishes round out the menu. Order one of the Hot Pots, the Pho, or for a spicy kick, the Drunken Noodles. If you enjoy creative cocktails, you won’t be disappointed by the drink menu at YaYa’s. Harrisonburg has undergone a foodie revolution in the past few years, especially in the downtown area. The latest restaurant to join the movement is Rocktown Kitchen, which opened in April of 2017. And like many of the newest restaurants in Harrisonburg, the restaurant focuses on supporting farms and producers in the Shenandoah Valley Region. Décor in the restaurant brings together chic elements like tufted leather benches with industrial touches such as the exposed brick walls and metal pipe accents on the booths. They are open every day except Mondays for lunch (try the Kale Caesar), dinner (go for the Chicken & Waffles), and on Sundays, brunch (they have an incredible Crab Omelet). And with an affordable kid’s menu, you can dine out with the whole family at Rocktown Kitchen without emptying your wallet. Chao Phraya Thai and Sushi Grill opened in January 2017 on the Main Street of Kilmarnock. The restaurant sources locally whenever possible, creating fresh dishes from the ingredients like Thai curries, Pad Thai, Dumplings, and a full sushi menu. With another sister restaurant in nearby Gloucester and this second location also on the Northern Neck along the Chesapeake Bay, they already have great working relationships with local seafood vendors, resulting in some of the freshest sushi and seafood dishes you could find in Virginia. 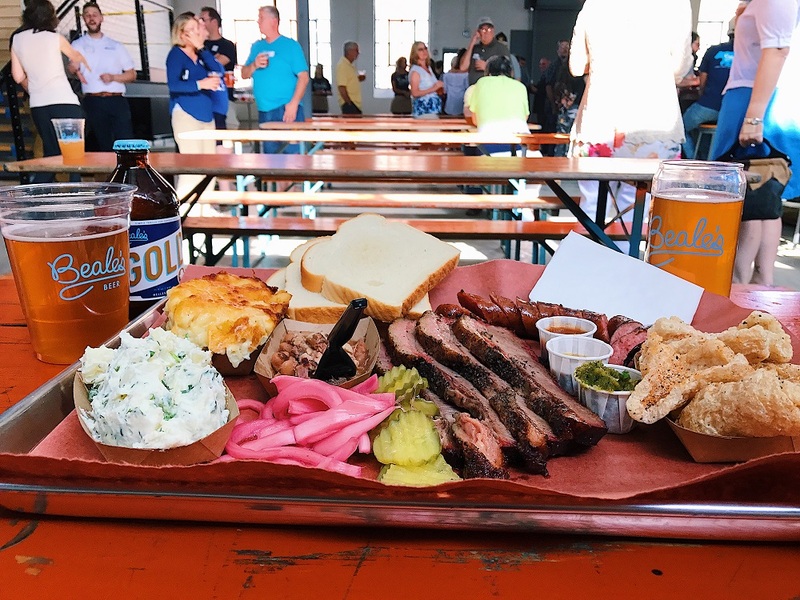 Beale’s Brewery & BBQ opened June 24, combining two of Virginia’s favorite things, craft beer and smoked meats, into a full-service southern dining experience. 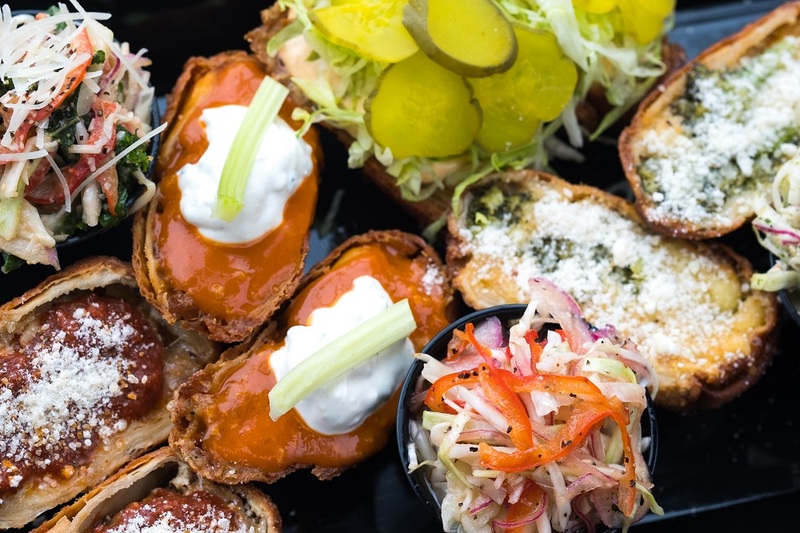 The menu’s offerings take their cues from barbecue capitals around the world, with meats inspired by Texas and Germany, but they also highlight the history of barbecue in Virginia. Everything from the brisket and pulled pork barbecue to the prime rib is smoked in-house and paired with homemade sides, sauces, and desserts that don’t skimp on the flavor. If you’re feeling especially brave and adventurous, ask about their secret menu items. Although White Birch Juice Co. has been open as a juice bar for years, they recently upgraded their location to include a full service restaurant that is open for breakfast, lunch, and brunch on Sundays. The space is bright and clean, with wooden tables, hanging pendant lighting, and bench seating dotted with comfortable pillows. White Birch emphasizes nutrition in their menu using locally grown, sustainably raised ingredients. For breakfast, items like the Biscuits & Gravy or the Farm Food Sandwich will start your day off right, and for lunch, try the Granny Burger, topped with slices of Granny Smith Apple, locally sourced bacon, and cheese. The addition of daily specials keeps the menu fresh and interesting for the restaurant’s regular patrons. The small but charming town of Tazewell welcomed Seven Restaurant to its streets in February of 2017. If you had to describe the restaurant in just a few words, they would be “rustic elegance”; the restaurant acknowledges its Southwest Virginia roots in the stone bar, wooden walls, and hand-built Amish furniture spread throughout the space. The menu features traditional cuisine with a modern twist, like the Scallop Topped Mahi Mahi served over a creamy seafood risotto. The Boat House at City Point opened in Hopewell on June 17, 2017, making it the fourth site for the Boat House franchise. 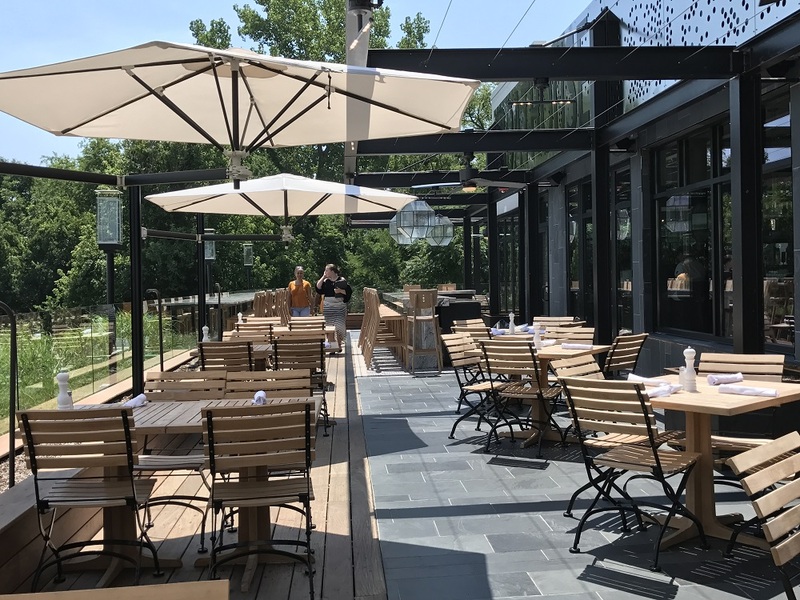 Like the other locations (in the Short Pump area of Richmond, downtown Richmond at Rockett’s Landing, and Midlothian’s Sunday Park), The Boat House at City Point is known for their seafood. The menu features an assortment of local oysters and mussels, as well as a selection of fresh fish, crab, and lobster on the dinner menu. Perched between the Appomattox and James Rivers, the restaurant’s patio and outdoor bar offers stunning views of the waterfront landscape. Alexandria is full of popular restaurants, and Myron Mixon’s Pitmaster Barbecue adds yet another to that impressive list. Opened January 2017, the restaurant showcases recipes from four-time World Grand Champion pitmaster Myron Mixon, who is the author of three best-selling cookbooks and the star of a culinary television show. The barbecued options include different styles of pork, beef, chicken, and sausage, and creative southern sides like the Barbecued Deviled Eggs, Peach BBQ Beans, and Baby Back Mac & Cheese complement the smoked meats. In the quaint town of Onancock on Virginia’s Eastern Shore, Da Vinci’s Italian Kitchen opened in March 2017. The restaurant resides in a two-story building housed under a vaulted wood ceiling, and they specialize in New York Style hand-tossed pizza made with homemade dough. Subs, calzones, and salads round out the Italian eatery’s menu. If you’re visiting Winchester, you’ll likely take a stroll along the Old Town Walking Mall in the heart of the city. The latest addition to the mall, Fresco Kitchen opened in June 2017 and serves up a variety of creations from around the world in perfectly portioned bowls; Thai, Mexican, Mediterranean…while the menu has a wide range of flavors, the quality and freshness does not vary. The restaurant uses local purveyors in their menu, using only the best ingredients possible. If you are facing a busy work week and are dreading the prospect of cooking at the end of a long day, Fresco Kitchen also offers prepared meals on a daily or weekly basis, allowing you to have healthy, fresh meals without the hassle.